We just saw the new Samsung Galaxy Tab S4, Samsung also reveled another new tablet, the Samsung Galaxy Tab A 10.5. The Samsung Galaxy Tab A 10.5 comes with a 10.5 inch display that features a resolution of 1920 x 1200 pixels, the tablet comes with a Snapdragon 450 processor and 3GB of RAM and 32GB of included storage, plus a microSD card slot for expansion. Other specifications on the tablet include a 5 megapixel front facing camera for Selfies and an 8 megapixel rear camera for photos and videos, The tablet comes with a 7300 mAh battery and Android 8.1, you can see the key specifications below. 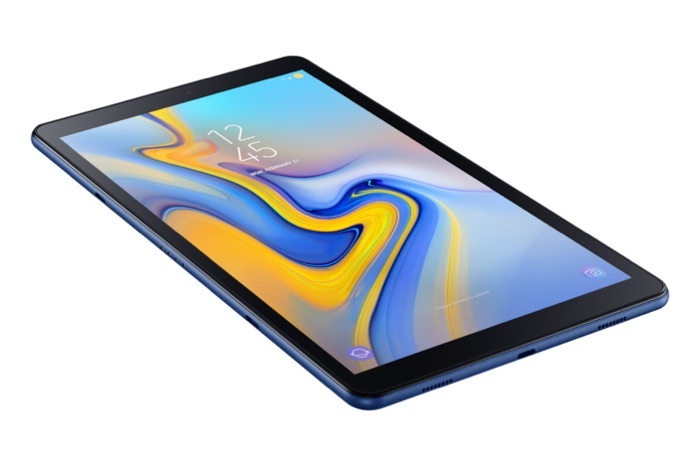 You can find out more information about the new Galaxy Tab A 10.5 over at Samsung at the link below, as yet there are no details on pricing.